Rosemarie George, founder of the Harness Race Rally, thanks the crowd for attending the patron party. The 52nd annual Harness Race Rally, presented by the Friends of Akron Children’s Hospital, took place Aug. 2 at Northfield Park. 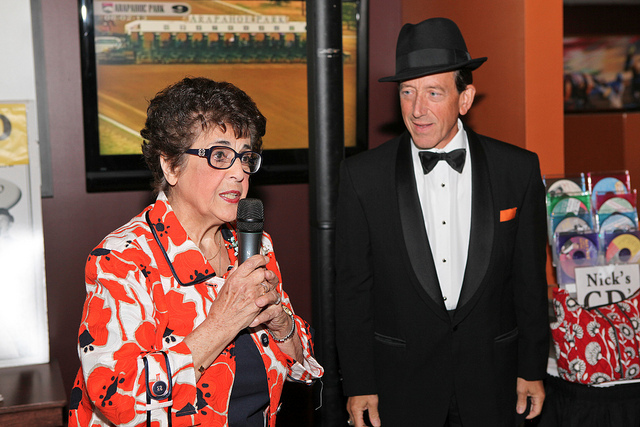 The event featured dinner, music and harness racing, but the highlight of the evening was a raffle for a new car, and other prizes. Proceeds from the sale of this year’s raffle tickets benefited Akron Children’s Hospital’s School and Community Oncology Outreach Program (S.C.O.O.P. ), which raises awareness about childhood cancer in schools and communities. Thanks to everyone who supported this year’s event. View a gallery of the 52nd annual Harness Race Rally.